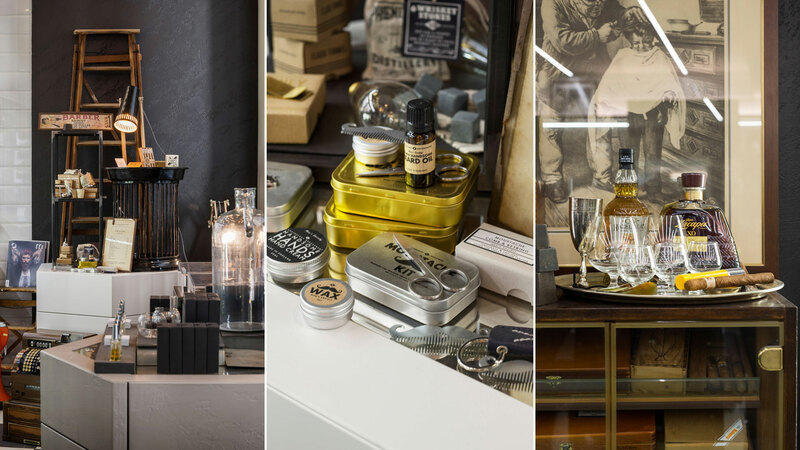 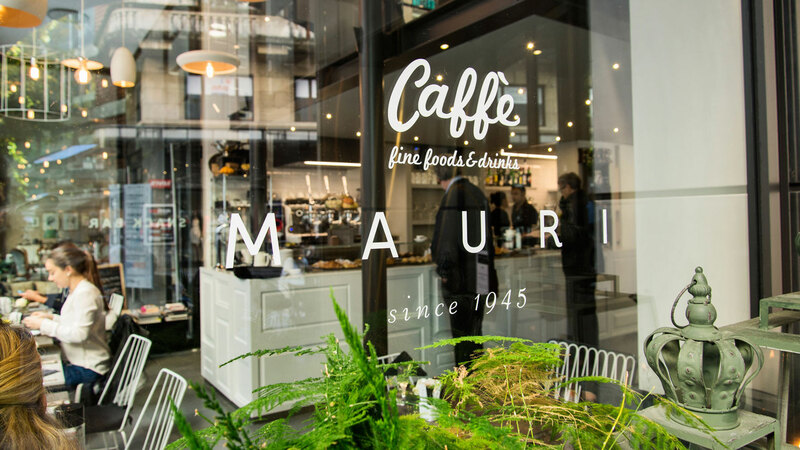 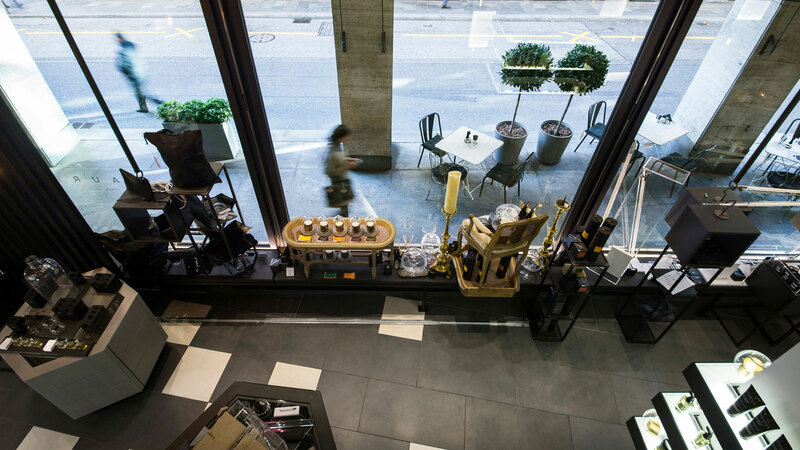 An innovative concept of retail in a historic building in the centre of Lugano. 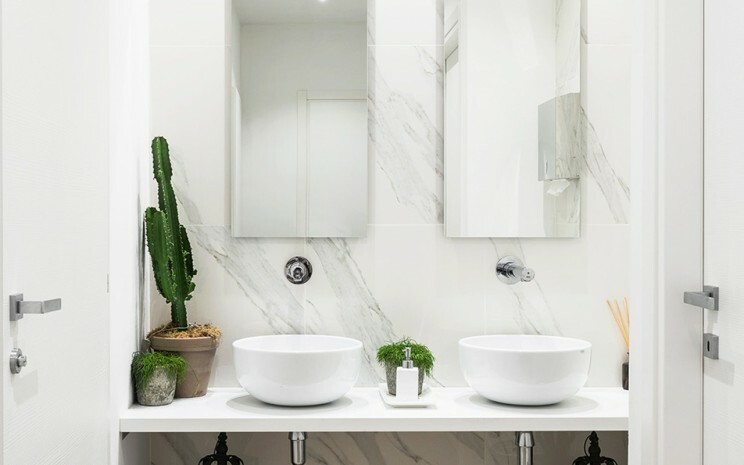 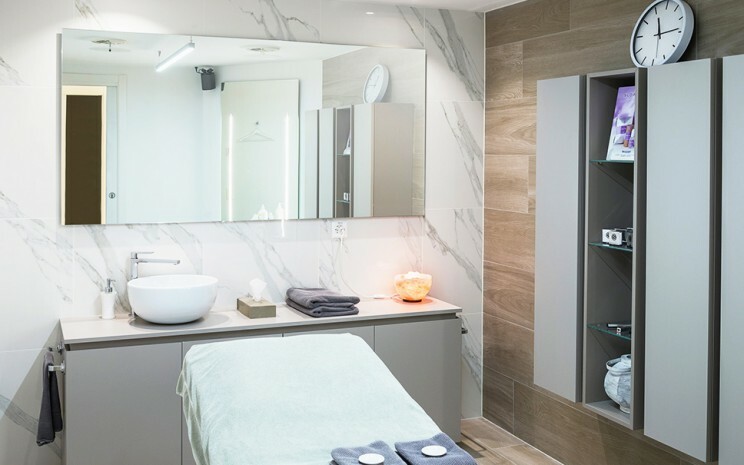 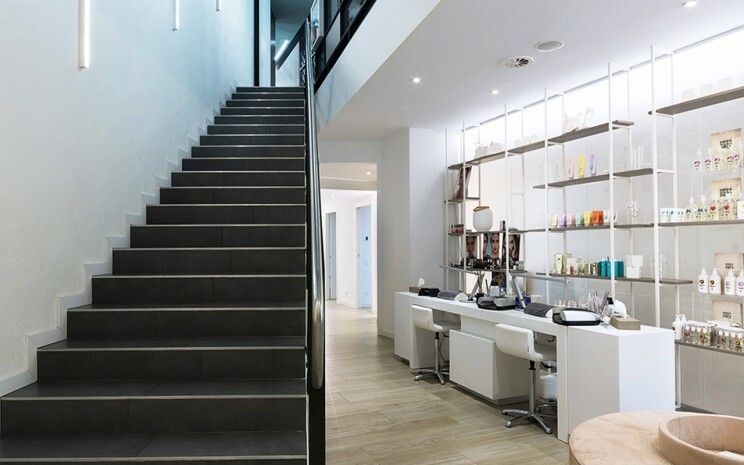 Three floors dedicated to the wellness and body care, combining a beauty centre, ladies’ hairdresser, men’s salon, sales area and café-restaurant area. 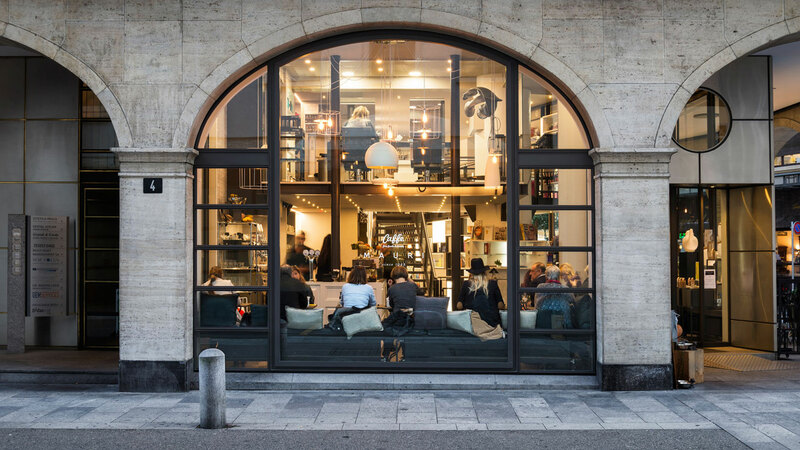 The coffehouse is accessed directly from the large windows under the portico. 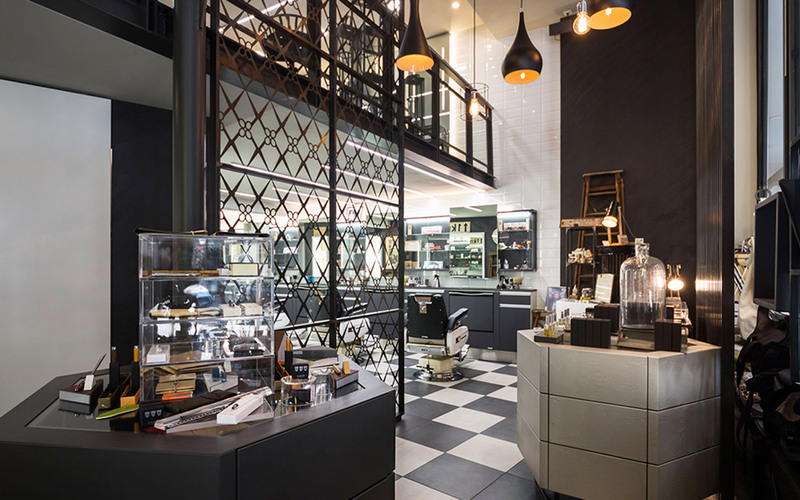 TM Italia built the whole counter cabinet, featuring matt white lacquered wood relief panelling and plate glass display units. 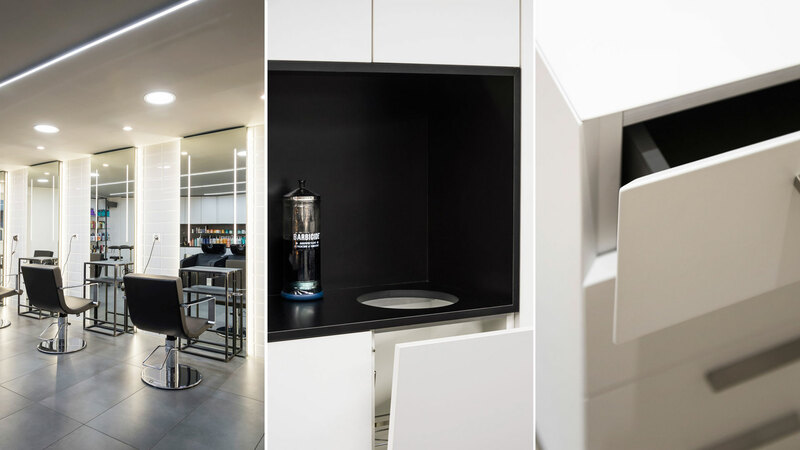 The customer reception counter is located next to the coffeehouse: it is an island consisting of intersecting sections: a concept T45 Evo transversal base made of eco-cement, fitted with storage compartments with side access and push-and-pull openings; a large suspended Corian central section a third section made out of metal that acts as a base. 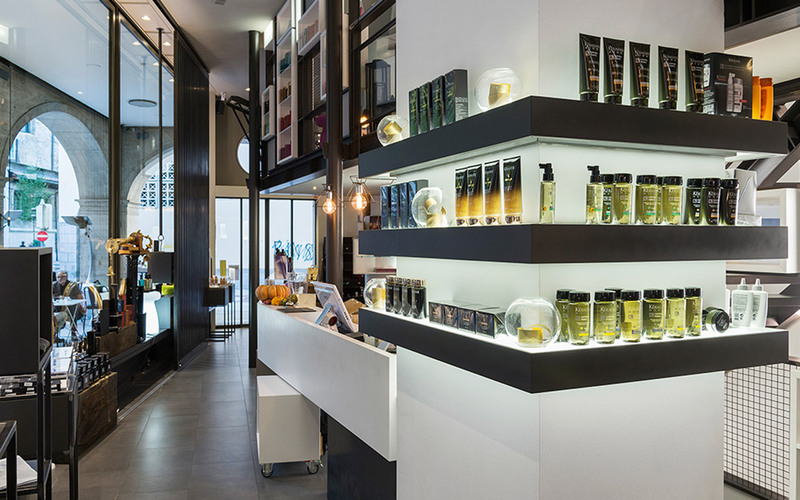 The reception is situated in the display area dedicated to carefully selected personal care products from different sectors of the industry. 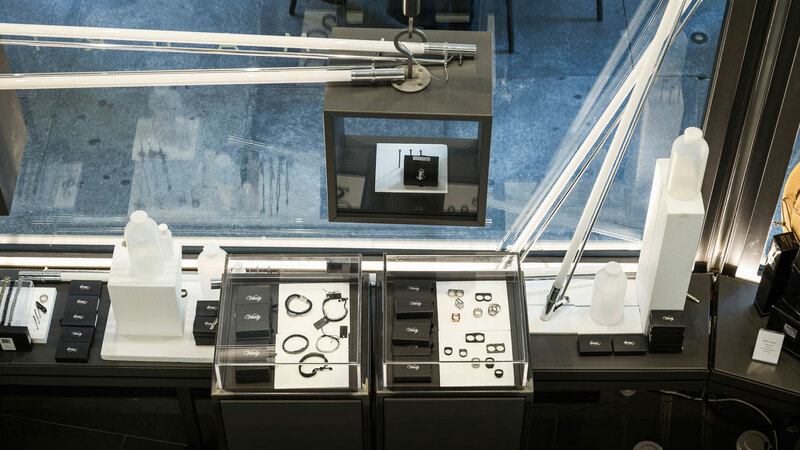 6 cubes finished in lacquered anthracite, suspended inside the display cabinet using metal hooks hung from the ceiling. 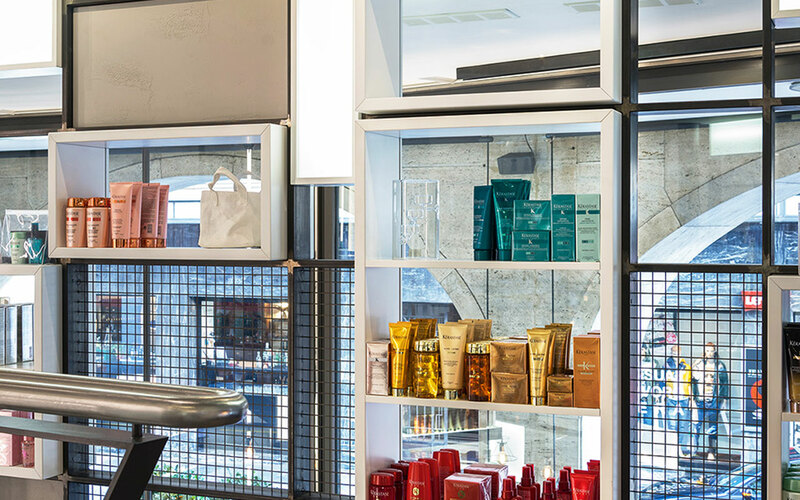 a large tubular and wire mesh structure with backlit glass and white lacquered niches for displaying products. 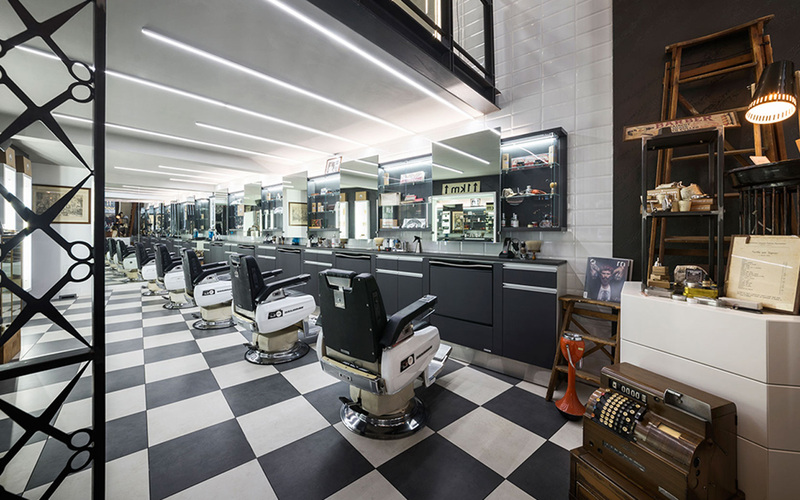 The barber area is located under the mezzanine, next to the reception. 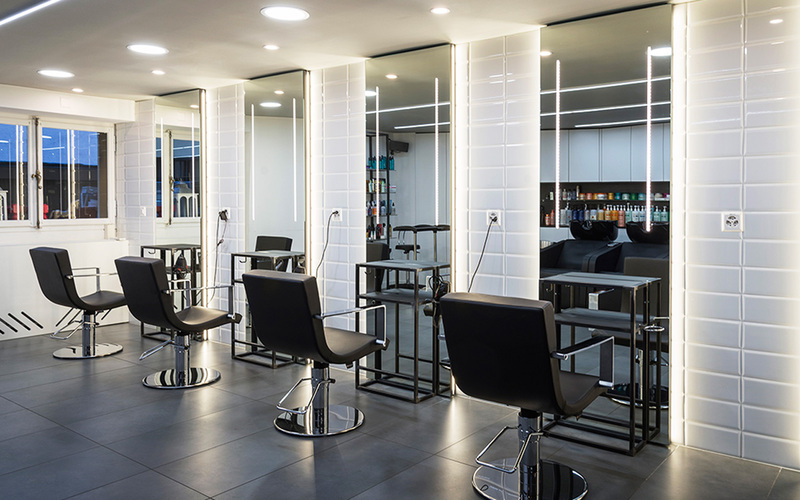 The technical fittings the length of the wall with the 4 salon chairs consists of furnishings that house the functional elements (sinks, cabinets and drawers), sliding mirrors that provide access to the technical spaces, display cabinets with integrated LED lighting. 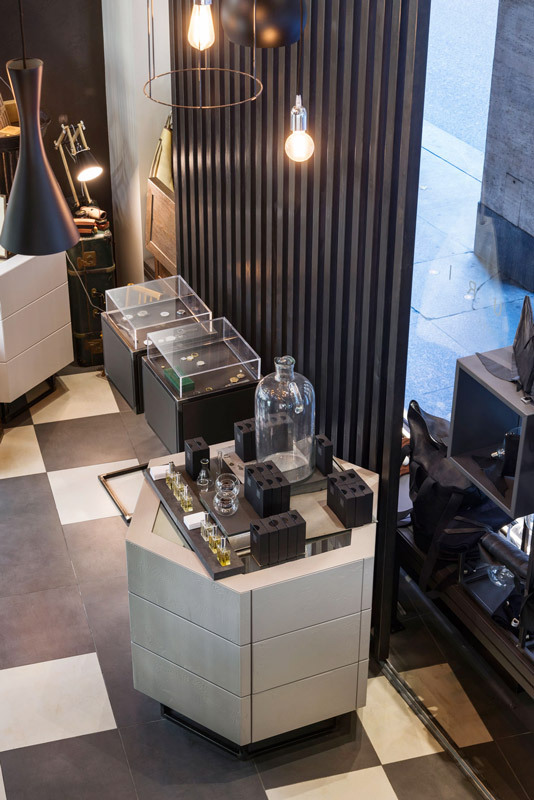 The structures are finished in lacquered matt anthracite and the internal divisions are made of glass. 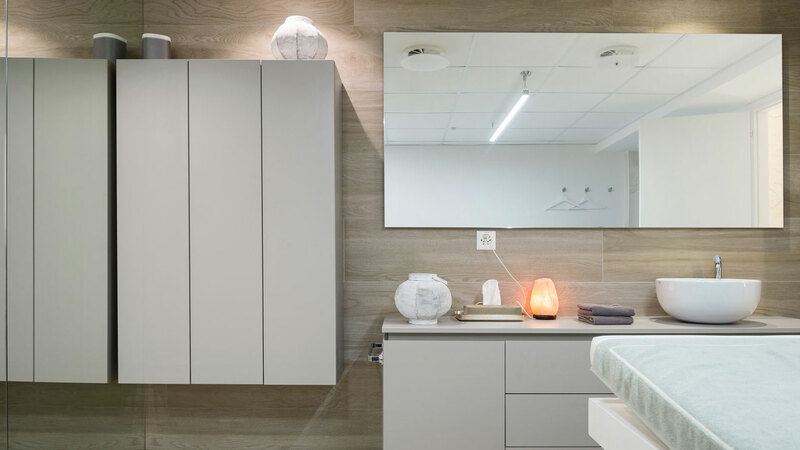 There are three embedded vertical niches in the back wall which are made using white lacquered frames, internal glass shelving, mirrored back and integrated lighting. 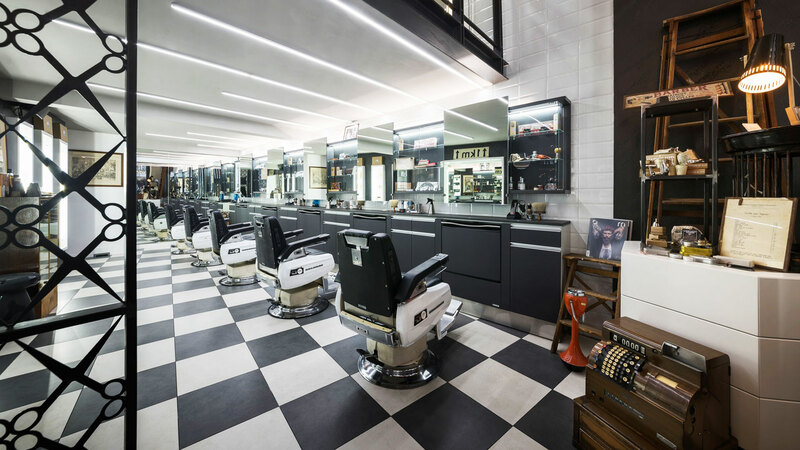 There is a large square niche in the same wall that acts as a waiting bench and is made using the same technical characteristics. 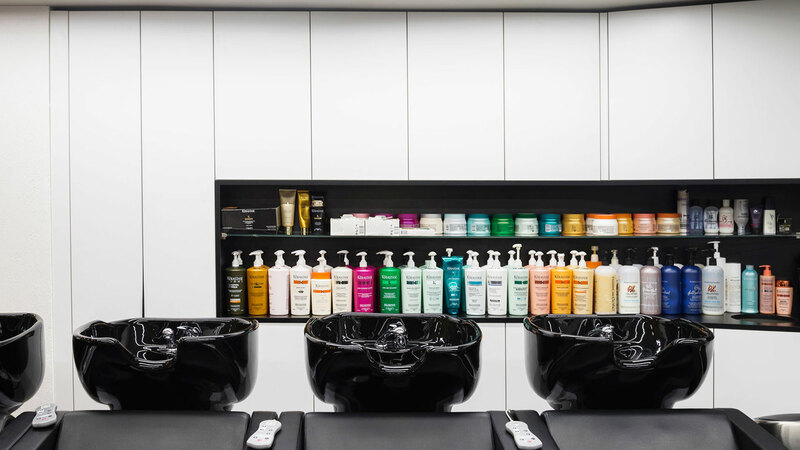 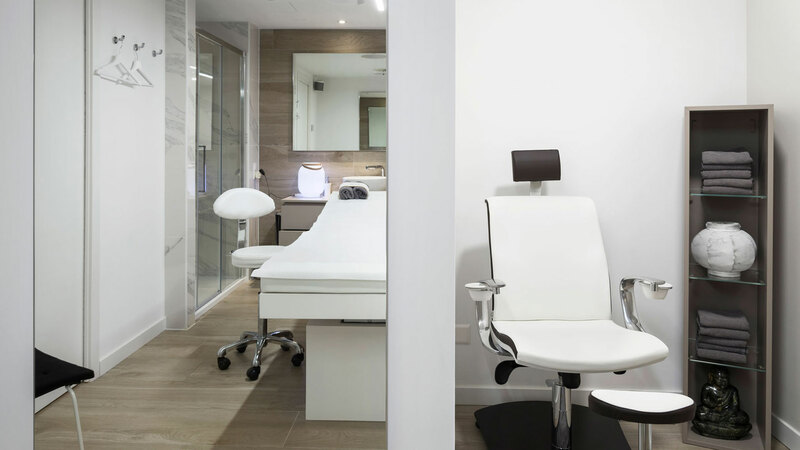 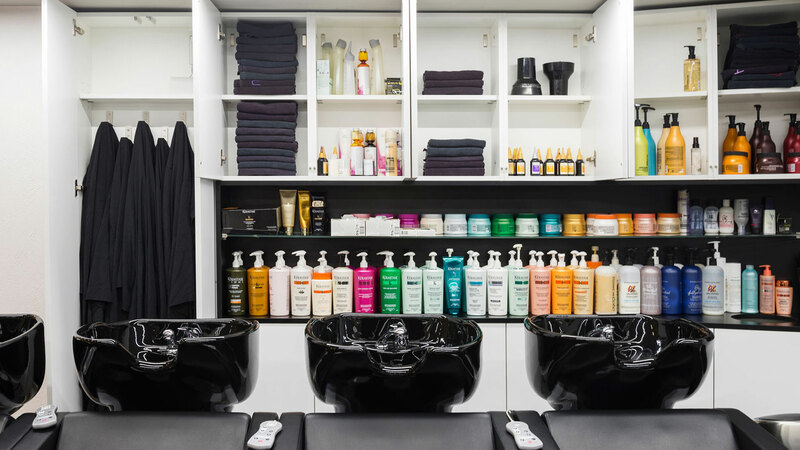 The ladies’ hairdresser is located on the mezzanine floor above the barber shop and has 5 hair cutting/styling salon chairs and 5 hair washing salon chairs. 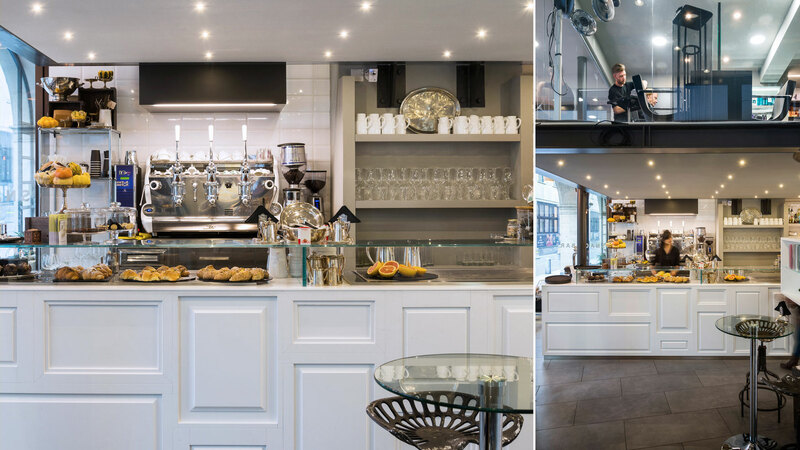 Located on the mezzanine floor above the coffeehouse, it is fitted with 4 chairs and a technical area. 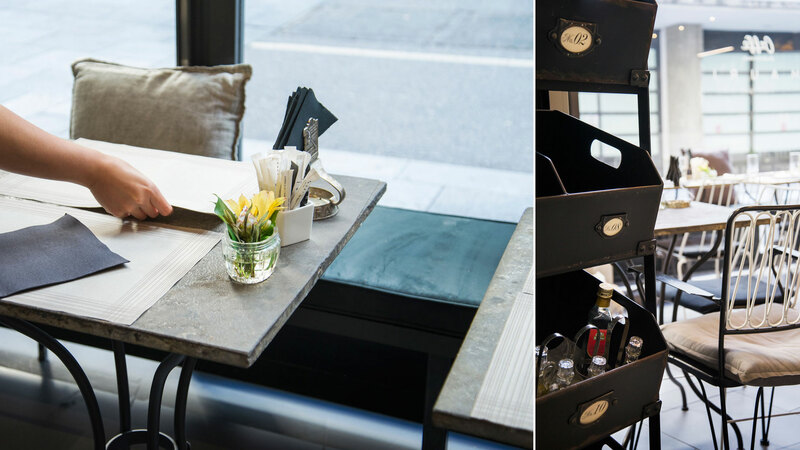 The chairs are arranged symmetrically around a black laminate worktable with freestanding cantilever mirrors on the worktop. 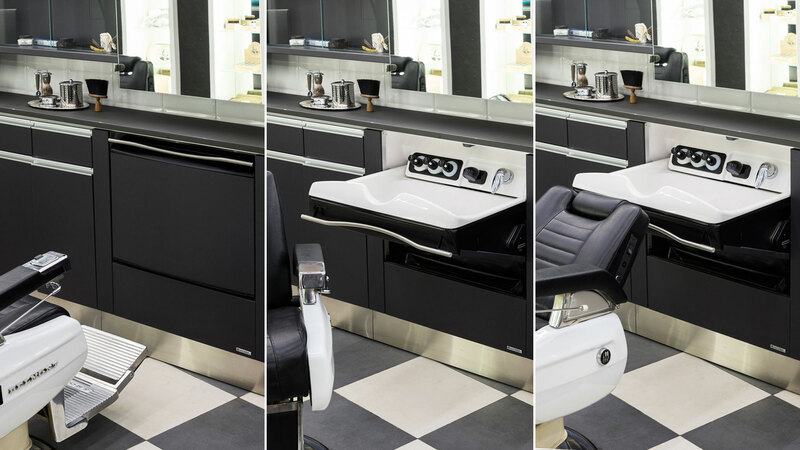 The technical area consists of a laminate worktable fitted with functional drawers, shelving, a suction system and a mirror. 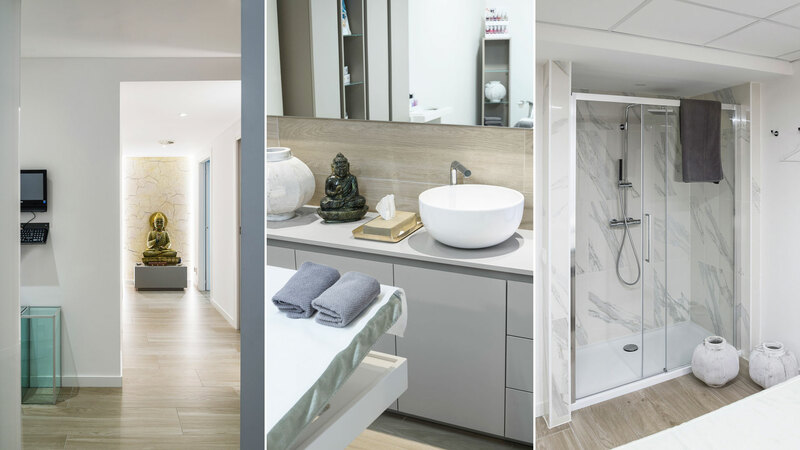 The basement houses offices, technical premises, the four wellness centre rooms, a lounge with manicure area and the rest rooms.